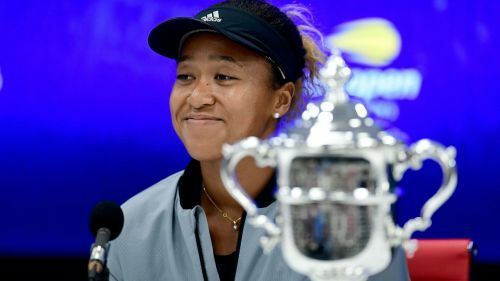 US Open champion Naomi Osaka is on course to become Japan's first world number one, according to former star Kimiko Date. Osaka became the first Japanese player to win a grand slam singles tournament on Saturday when she defeated Serena Williams 6-2 6-4 in the Flushing Meadows final. And former world number four Date, a three-time major semi-finalist, believes the 20-year-old can climb higher still after breaking into the WTA's top 10 for the first time. "If [Osaka] continues to develop the way she has over the past two weeks, she can go on to be Japan's first world number one," said Date. "To keep your cool like that from the moment you step onto court to the last point isn't easy. "Osaka is taking on the power tennis of the women's game with power of her own. [She's] an Asian player, a Japanese player - until now, only Li Na had the physique to be able to tackle that kind of power.